In 2018 Dale Hollow Dam celebrated 75 years of operation and meeting the mission for which it was designed. The dam continues to provide hydropower and support its other intended purposes such as flood risk reduction, water supply, environmental stewardship and outdoor recreation. The U.S. Army Corps of Engineers Nashville District designed Dale Hollow Dam and Morrison-Knudsen, private contractors under the supervision of the Corps, built the dam. The Corps awarded the contract Dec. 30, 1941 and mobilization, clearing and construction of roadways and support structures began immediately. Construction of the dam began March 2, 1942. 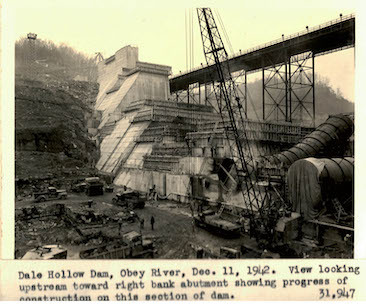 With sister construction of civil works projects suspended due to war, Dale Hollow Dam was rushed to completion on Oct. 20, 1943, but discontinued construction of the powerhouse. The Corps fully impounded Dale Hollow Lake May 7, 1944. Work on the power house resumed in July 1946. Three Francis turbines were installed in December 1948, January 1949 and November 1953. Each unit generates 18,000 kilowatts for a total of 54,000 kilowatts, enough power to electrify a community of 45,000 and provide support to the national grid. 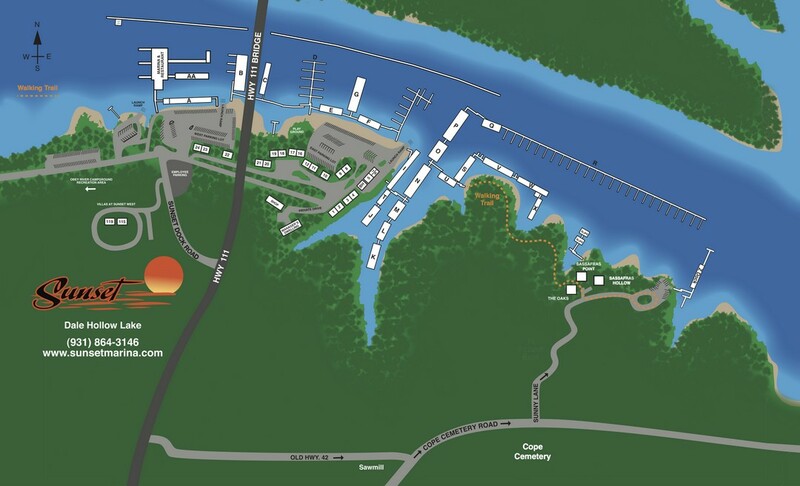 The dam impounds a length of 61 miles of the Obey River creating Dale Hollow Lake with 620 miles of shoreline, 27,700 acres of water, and 24,842 acres of land for recreational opportunities.